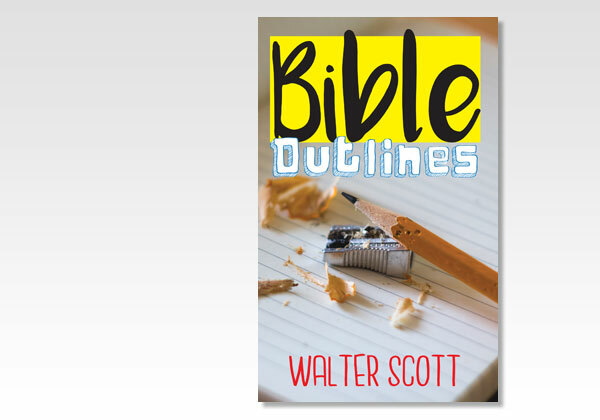 This book takes up the whole Bible and covers the major principles of Scripture as well as the background for each of the 66 books. More emphasis is placed on Genesis through Judges because these books give the background and abiding principles for the rest of the Bible. With a little editing help—the original book was written about 100 years ago—we do not know of another moderate-length, clearly written book that gives such an easy to understand overview of the Bible as does this book! Walter Scott seems to know how to make the reader want to go into greater depth of study. As you read this book, you’ll see how much more there is to learn, and how interesting and profitable it is. That’s why Believers Bookshelf works so hard in having scriptural books by living authors and also edited (for clarity) books by doctrinally sound writers of the past. For present-day learning and future reference, there is nothing like a paper and print book! And there is much to underline in Bible Outlines and we encourage you to make lots of notes. We could not find much biographical information on Walter Scott, beyond the time he lived (1838–1933). But the Lord gave him a teacher’s and writer’s gift, and we know you will enjoy the book. Many of us are very thankful for the library we built up during our younger days. It has served us well, and a library will serve you well too!